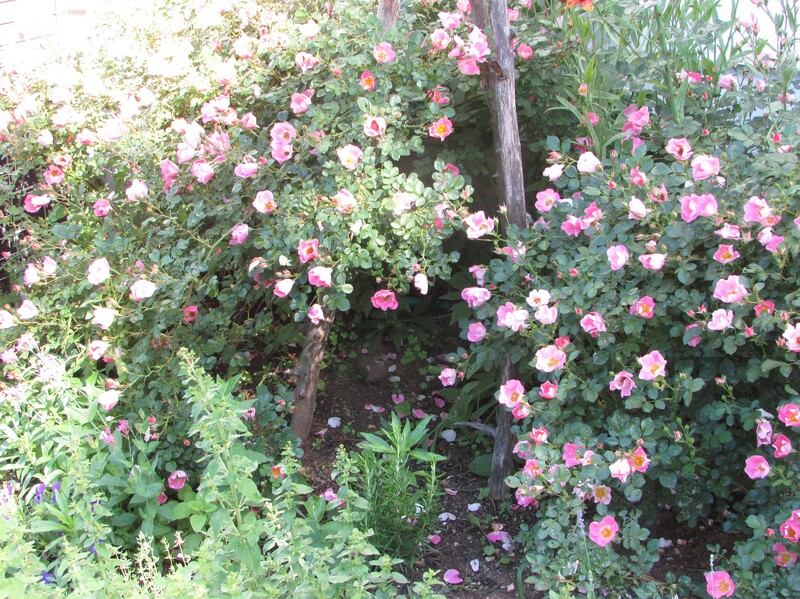 Quirkiness – Can You See Me? Can you see me? 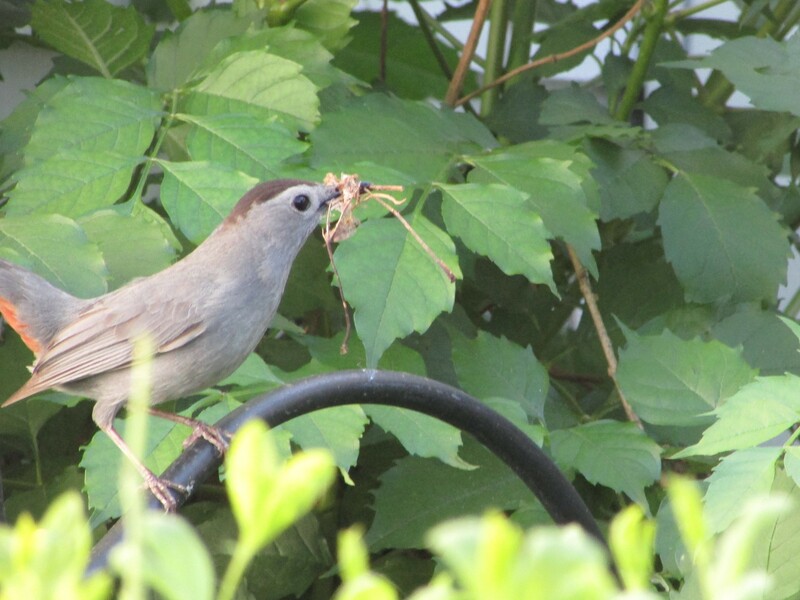 I’m a catbird nest, built low in a trumpet vine, directly beside the back porch, one of the busiest places in the yard, but does that deter the catbirds? No! They keep redesigning and adding building materials. Can you see me? 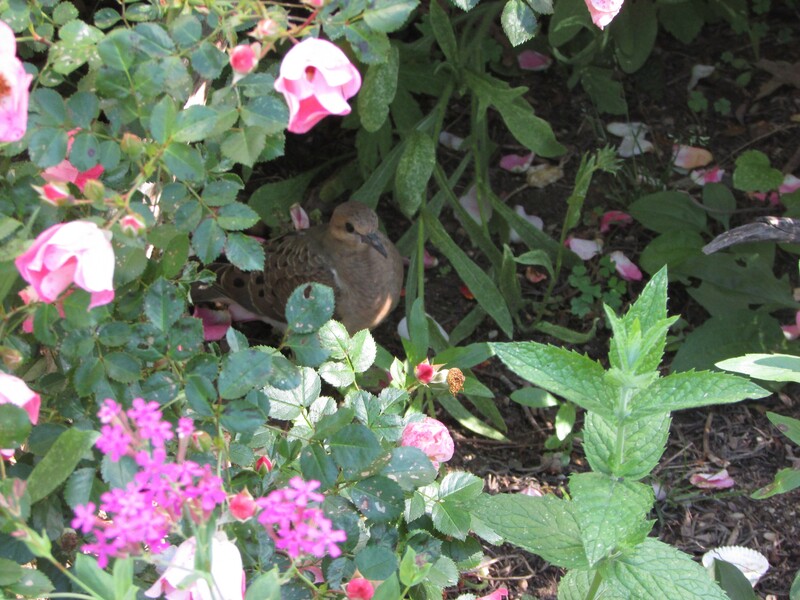 I’m a baby mourning dove, still not comfortable with flight, hiding out under the shrub roses. Can you see me? 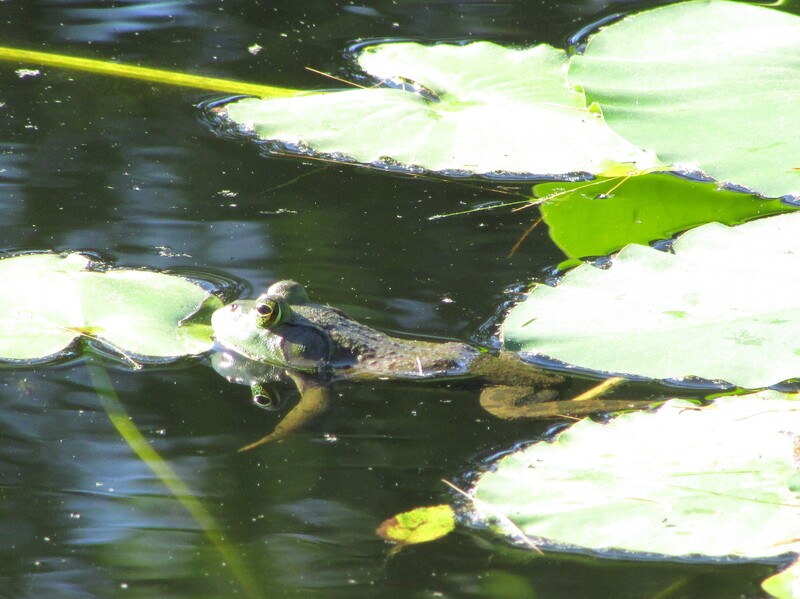 I blend in perfectly with the water lilies. Here’s a close-up view. My domed and arched eyes are perfect for Cee’s Fun Foto Challenge: Arch Dome or Half Circle. 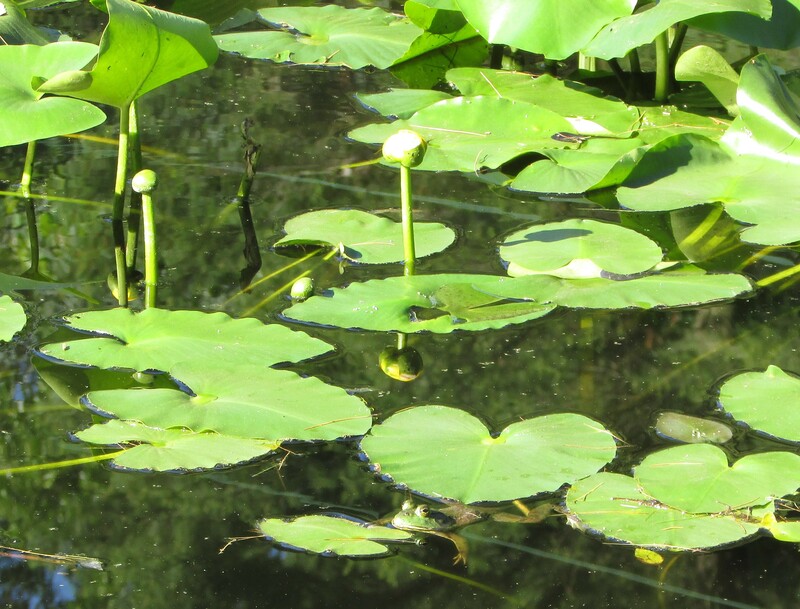 All these garden and pond photos were taken early this morning…Spring has finally arrived in New Jersey. 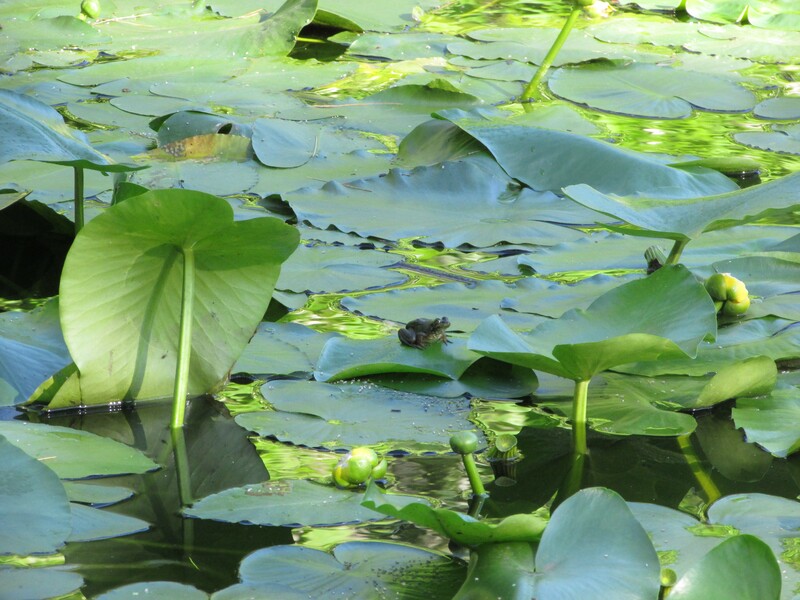 Teeny-tiny froglet on lily pads. 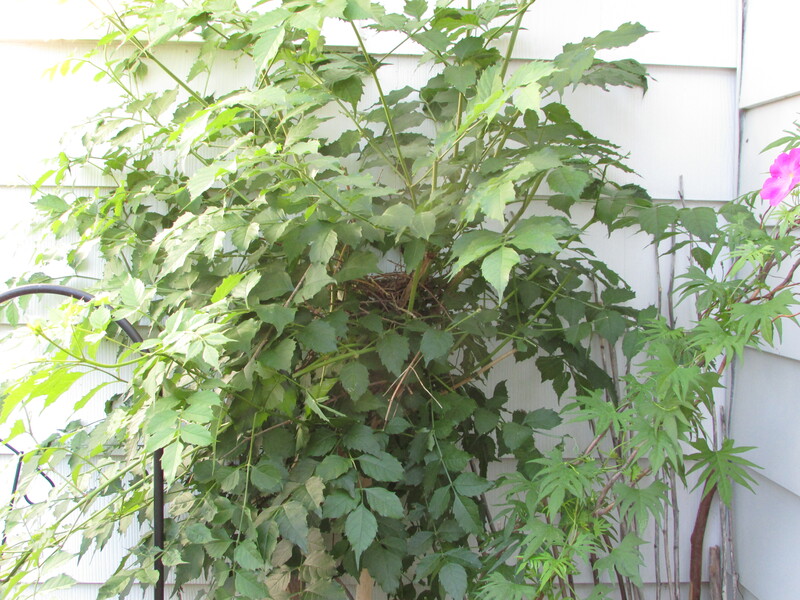 Thanks Cee…your challenges are always so much fun to take part in.